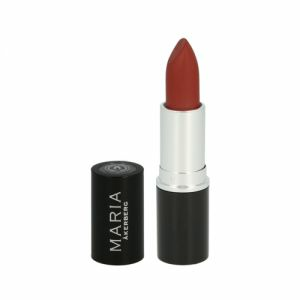 Lip Care Colour Merlot is a brownish red lipstick in a warm shade with plenty of pigment. Perfect when you want a rich colour with compact coverage. A Lip Care Colour from MARIA ÅKERBERG will not interfere with your natural skincare. Mineral-based pigments provide beautiful, long-lasting colour, while plant-based oils and wax nourish and protect the skin. The tube contains 4.5 ml Lip Care Colour Merlot. For maximum long-lasting colour, start by applying Lip Liner Natural Beige on the entire lips, then apply Lip Care Colour Merlot on top. Are your lips dry? Apply our lip balm, Lip Care, for extra nourishment and protection before applying Lip Care Colour.